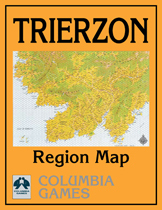 Laminated version of the gorgeous 22 x 34 inch map of Trierzon. This map was never folded (no creases). The Trierzon region in northwest Lythia is bordered by the Gulf of Ederwyn to the west, the Azeryani Empire in the east, Shorkyne to the north, and the Venarian Sea to the south. 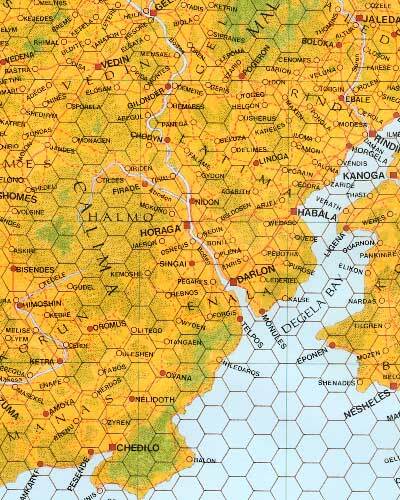 The region includes the kingdoms of Trierzon, Palithane, Emelrene, and southern Shorkyne.